Who needs a hotel? Make a weekend of it and stay in either of our GEICO RV parking locations or our new Town Center Campground. GEICO Premium Trackside RV parking is located on the fastest section of the track and includes all necessary AMENITIES to make you feel at home. 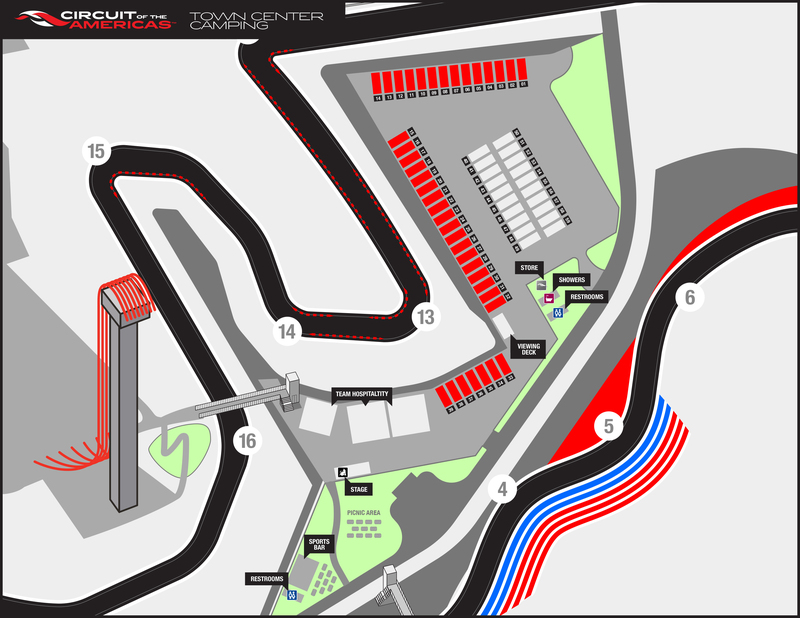 Take it all in from the middle of the track in our new Town Center Campground located in the heart of COTA's Support Paddock. 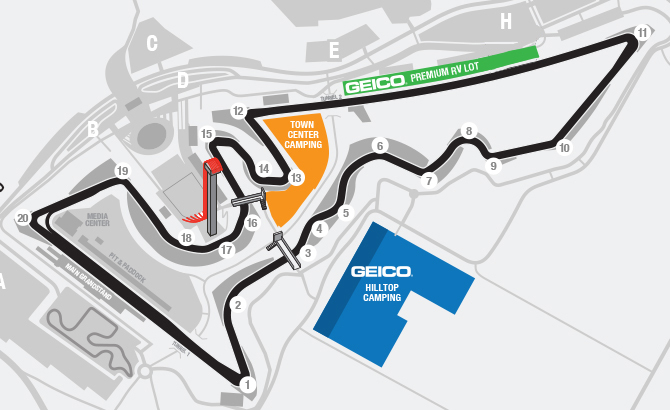 Camping is also offered at the GEICO Hilltop Campground, located in Lot N and just a short walk away from the Circuit entrance. Water, power, cable/internet, and a complimentary scheduled pump out for your RV with access to on-site bathrooms and showers. PLEASE NOTE: NON-TRACKSIDE SPOTS DO NOT INCLUDE INDYCAR CLASSIC TICKETS. TICKETS FOR THE RACE WILL NEED TO BE PURCHASED SEPARATELY AND ARE REQUIRED TO ACCESS YOUR RV SPOT. RV SERVICES ARE NOT INCLUDED IN NON-TRACKSIDE SPOTS BUT WILL BE AVAILABLE FOR PURCHASE ON-SITE. GEICO Hilltop Camping in Lot N does not include race admission. Each individual at your campsite will need his or her own ticket to enter the IndyCar Classic. Purchase race admission here. Want to speak directly to a COTA representative? Give us a shout at 512-655-6300 or via email.